Sometimes I get a feeling that I want to "Seas the Day" :D and sail away in to the deep sea. But you always don't have to set sail to feel Nautical. The next best thing? 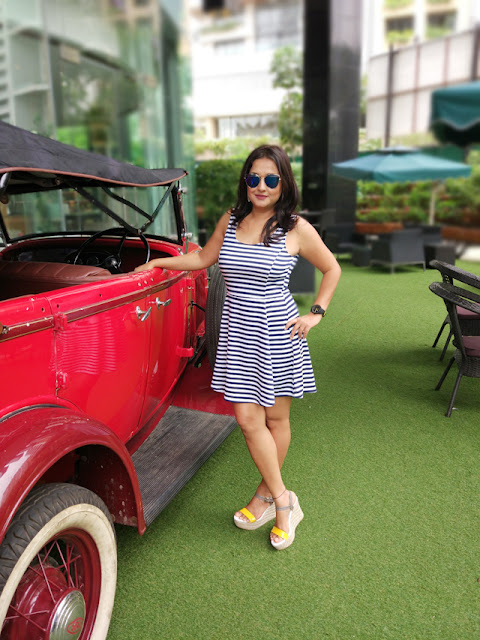 Wear a nautical inspired dress that has become a stylish staple for many fashionistas as its chic, easy to style and looks good on almost everyone. Over the years, nautical-inspired couture has survived changing trends and featured on run ways and red carpet events too! Did you know that the nautical stripe was introduced as an uniform for French Navy Seamen around the nineteenth century? And that in the beginning of twentieth century, Mademoiselle Coco Chanel got inspired for her new nautical inspired collection after spotting the marina workers in their knit navy and white striped shirts? And that's how the nautical fashion craze began and is not going to fade away anytime soon! Nautical stripes have been worn by artists, movie starts, musicians and fashionistas all over the world. 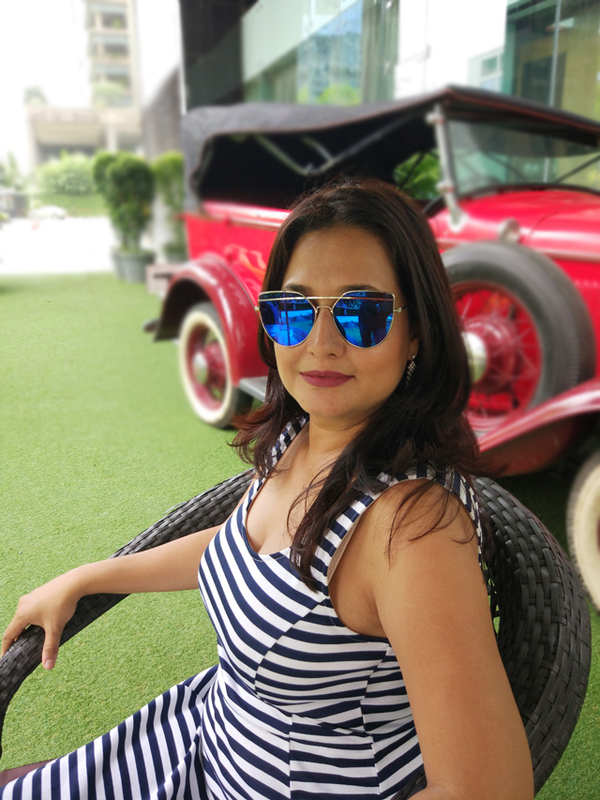 There are many ways to wear nautical styled dressing- striped dresses, hand bags, swimwear, wide legged sailor pants, accessories like head bands and much more. 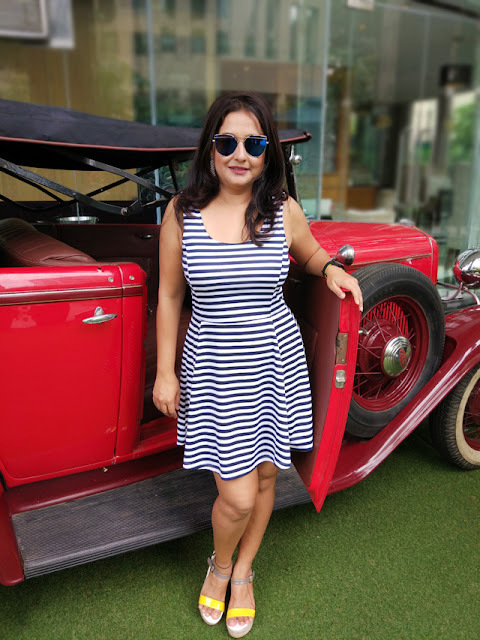 Personally, I like to focus on stripes while embracing the timeless nautical style....yes, I am talking about French navy stripes. Though horizontal stripes have a bad reputation, if you focus on the length of the attire that shows off your shapely legs, it will definitely work with...especially with a hour glass shaped body. Choose thinner horizontal stripes rather than opting for very wide ones. Try adding a pop of color with yellow footwear, if you feel comfortable. 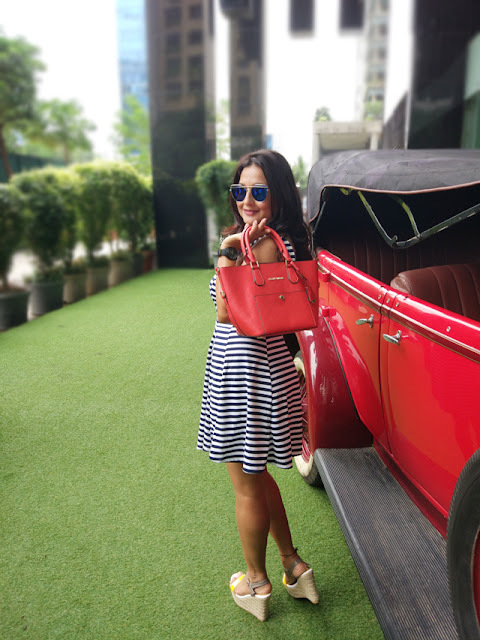 A red bag will always work with a nautical dress and stand out. Complete the look by adding statement sunglasses.